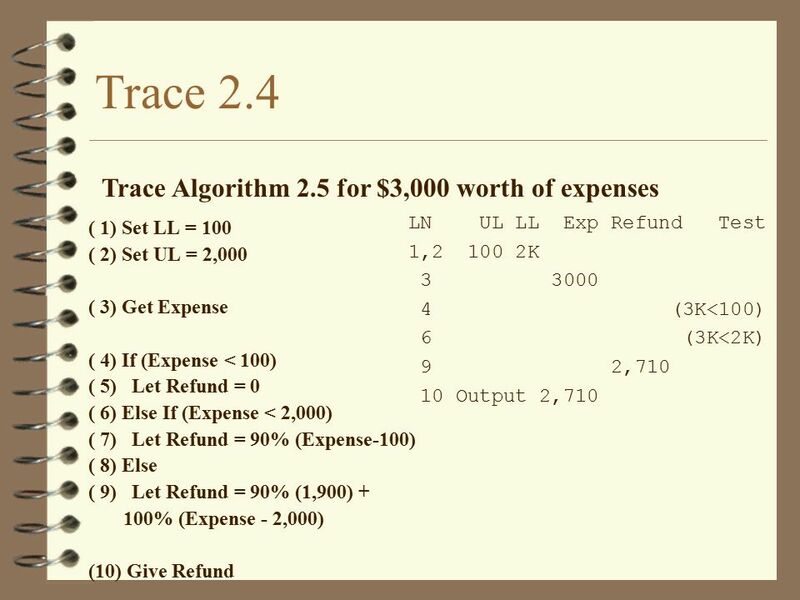 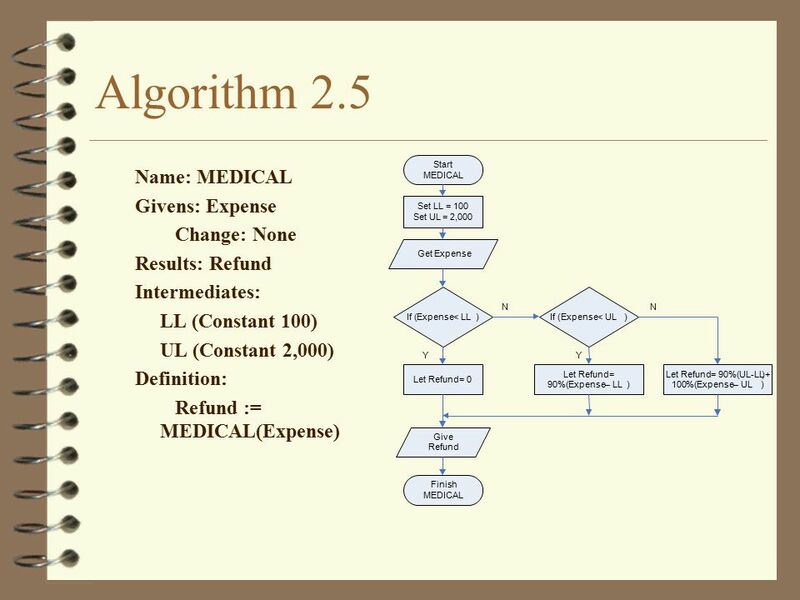 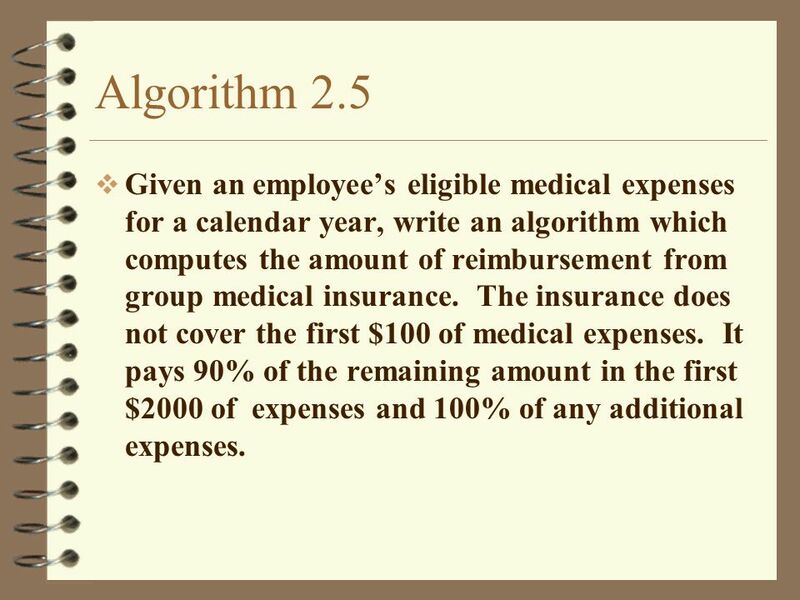 25 Algorithm 2.5 Given an employee’s eligible medical expenses for a calendar year, write an algorithm which computes the amount of reimbursement from group medical insurance. 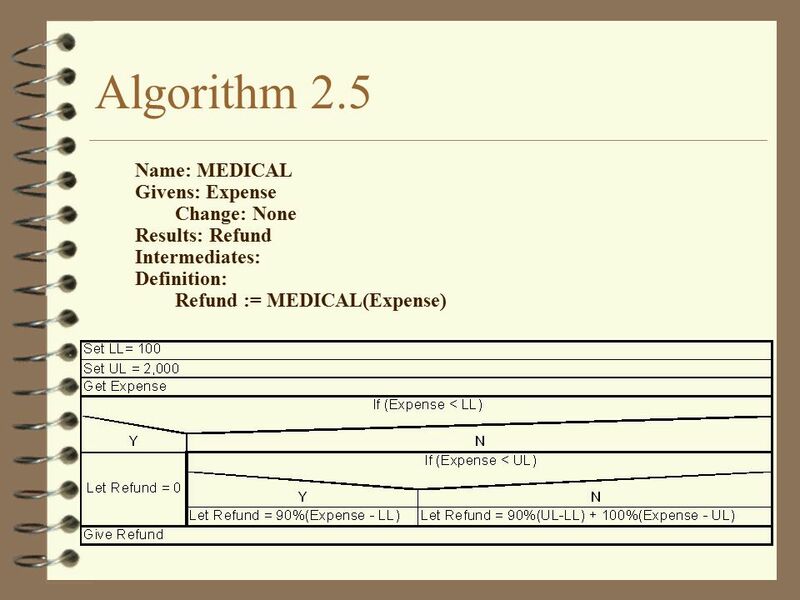 The insurance does not cover the first $100 of medical expenses. 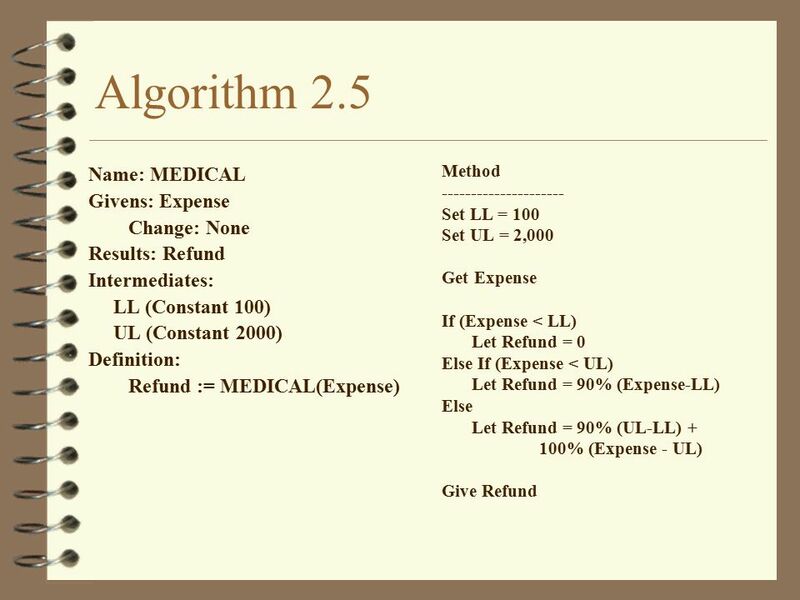 It pays 90% of the remaining amount in the first $2000 of expenses and 100% of any additional expenses. 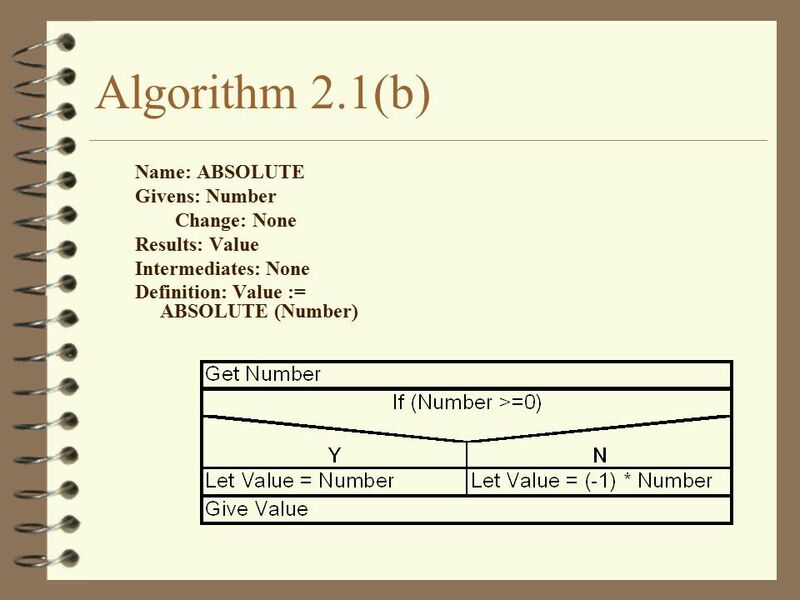 Trace the algorithm with suitable data Write an algorithm to reverse the digits in a three digit number and then add that number to For example, 468 becomes When added to 500, the result is 1364. 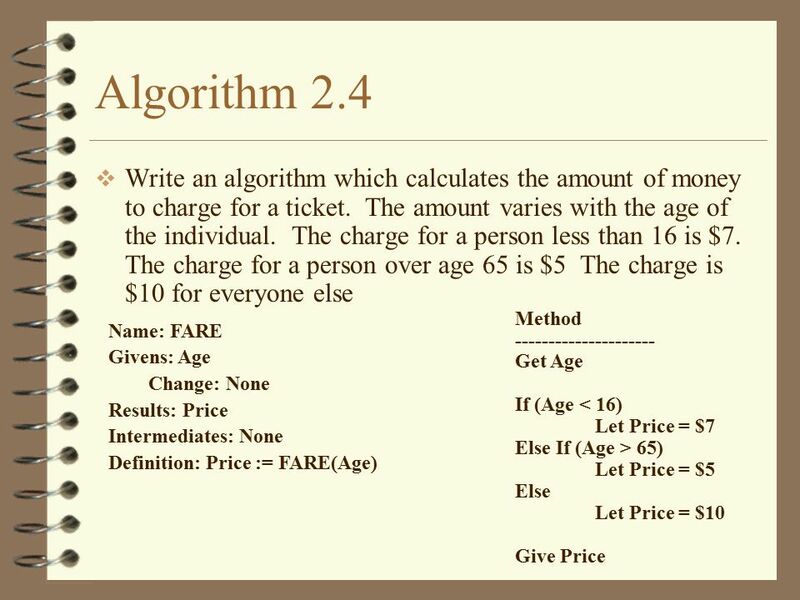 Write an algorithm to get the names and ages of two people. 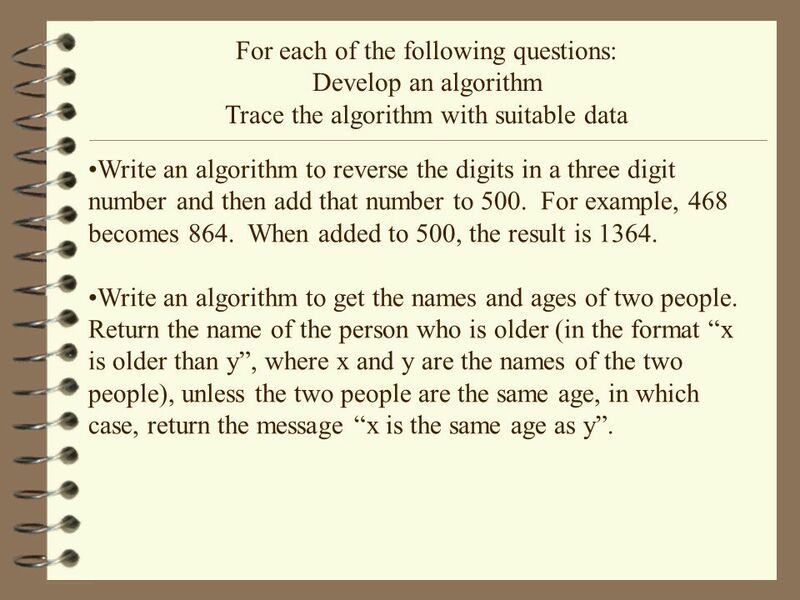 Return the name of the person who is older (in the format “x is older than y”, where x and y are the names of the two people), unless the two people are the same age, in which case, return the message “x is the same age as y”. 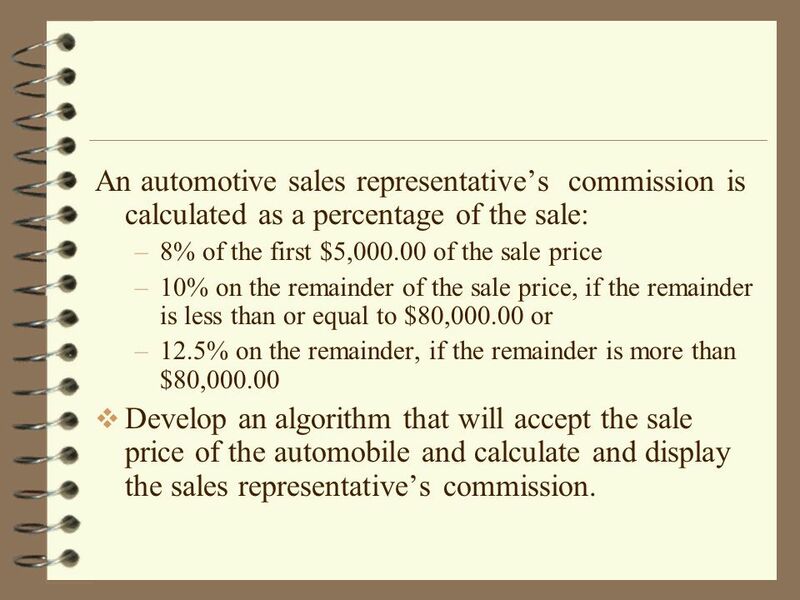 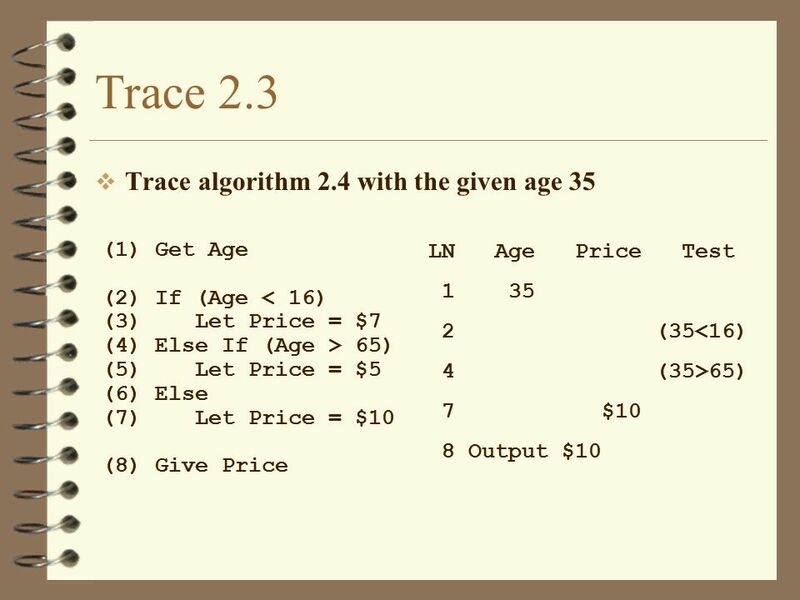 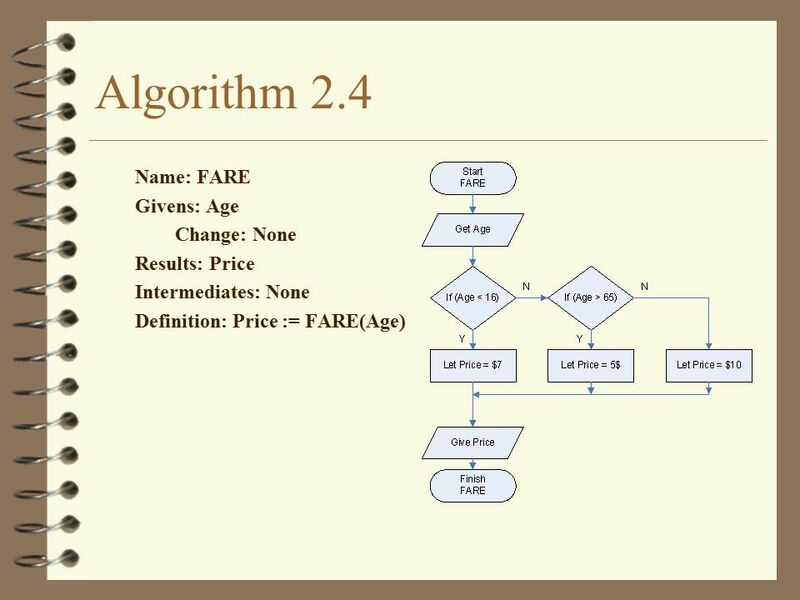 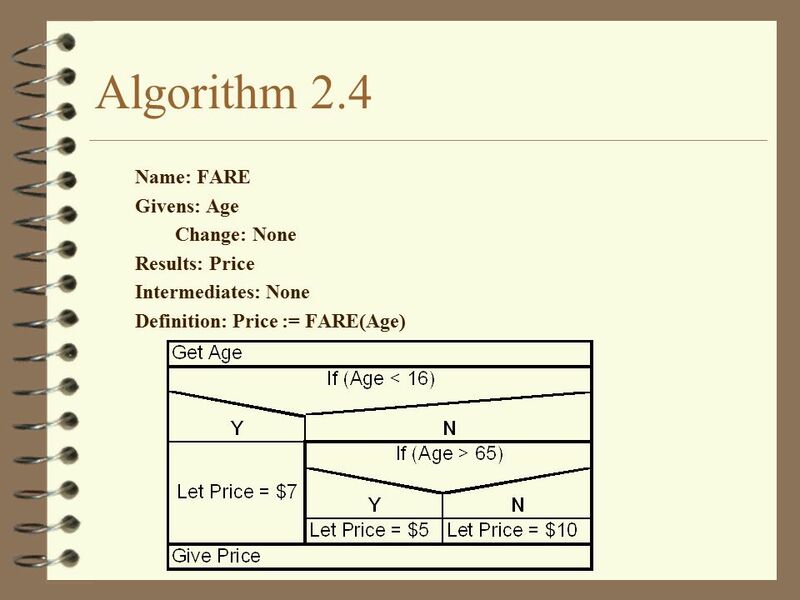 8% of the first $5, of the sale price 10% on the remainder of the sale price, if the remainder is less than or equal to $80, or 12.5% on the remainder, if the remainder is more than $80,000.00 Develop an algorithm that will accept the sale price of the automobile and calculate and display the sales representative’s commission. 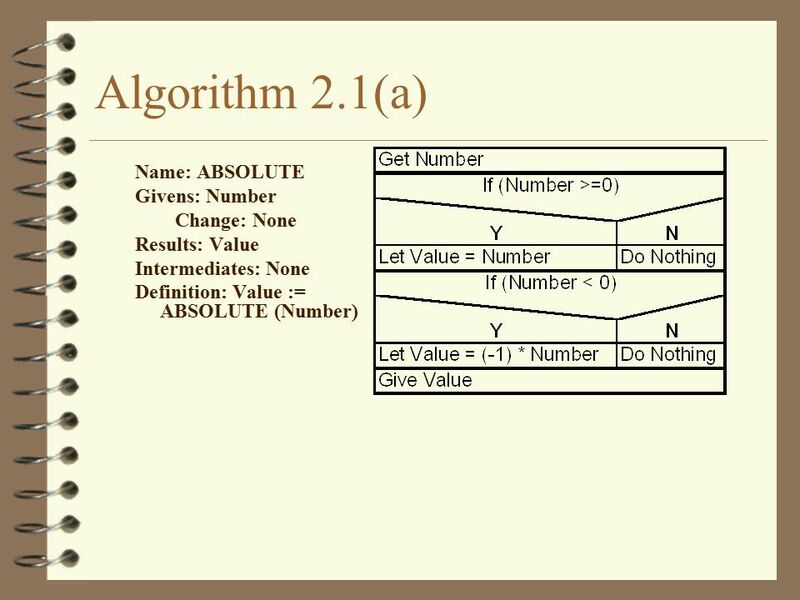 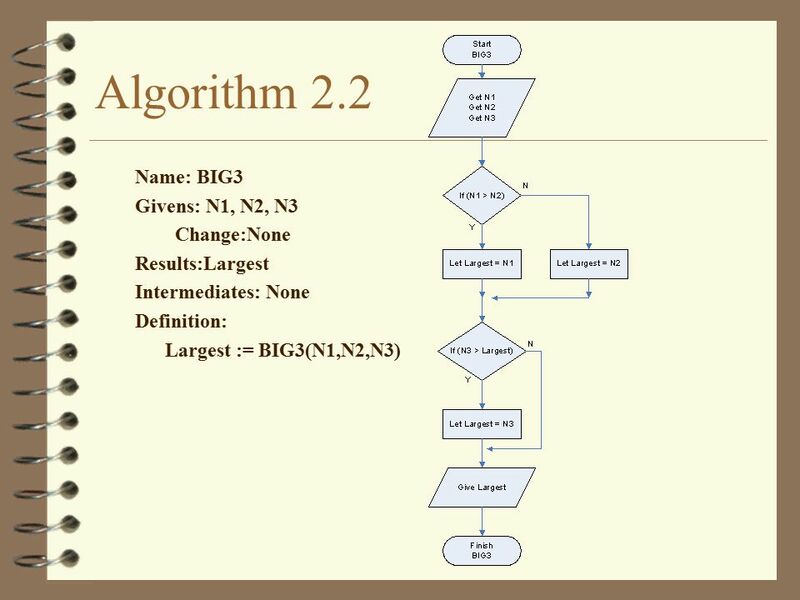 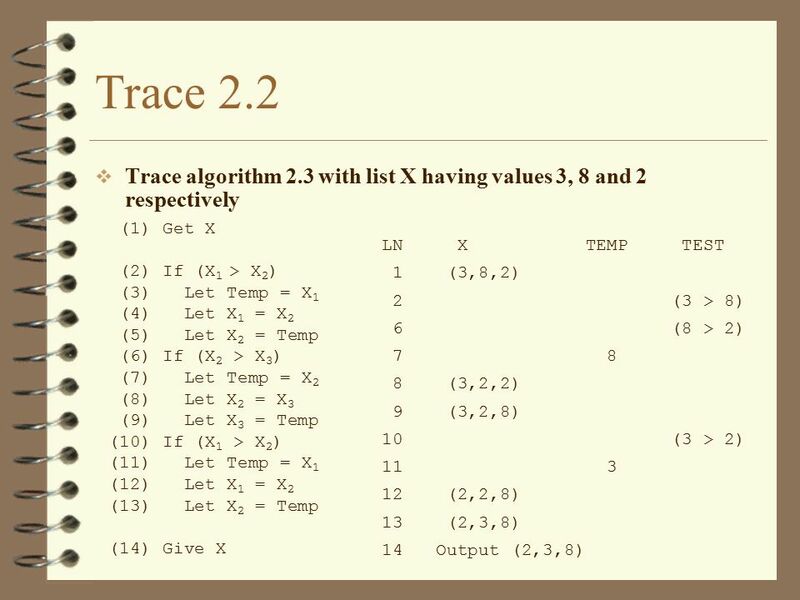 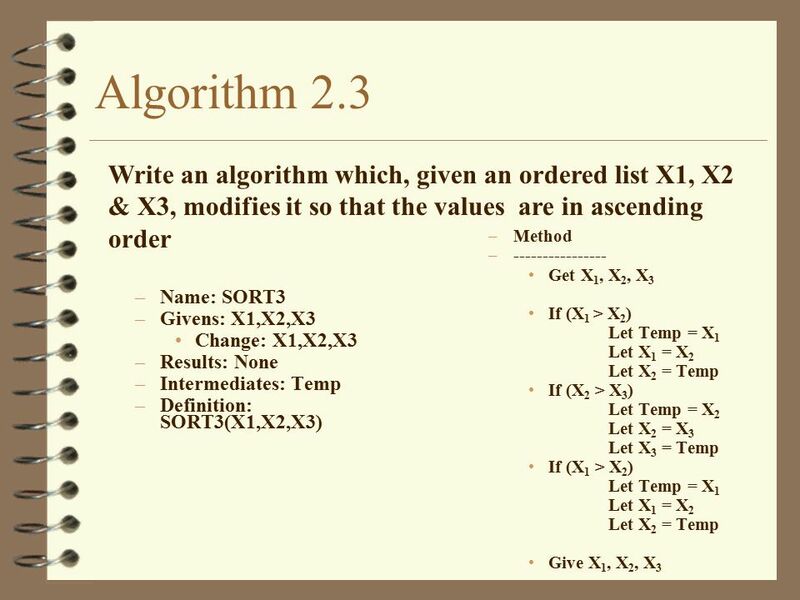 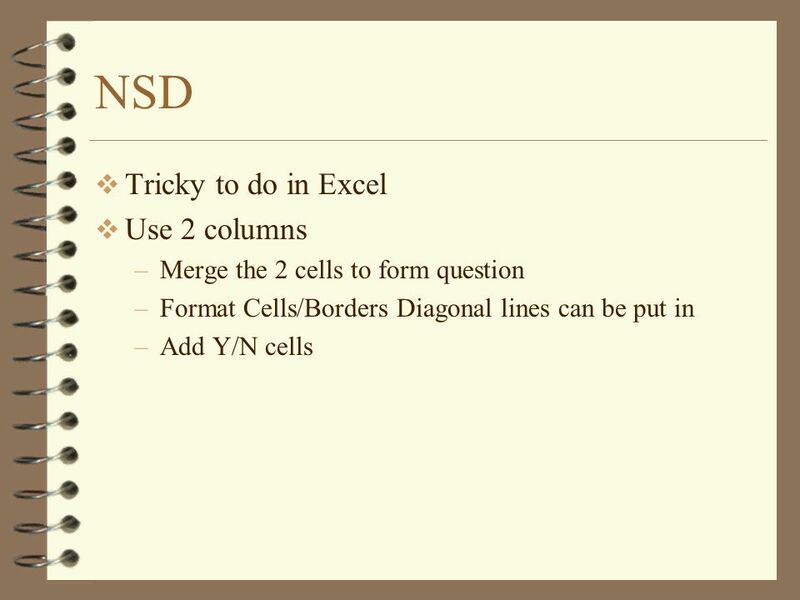 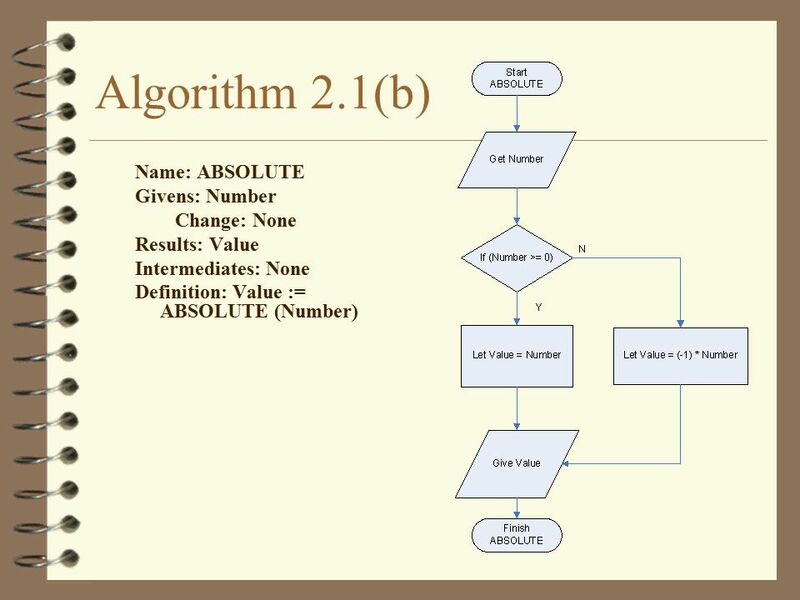 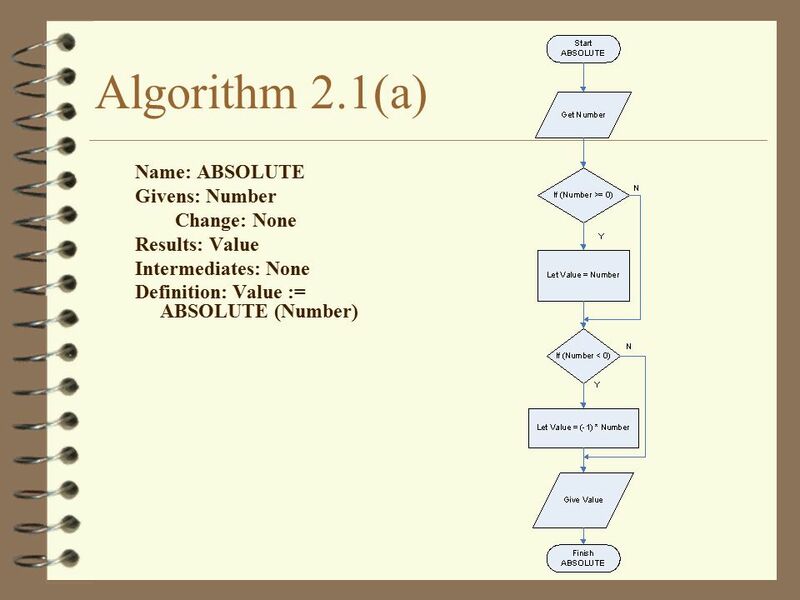 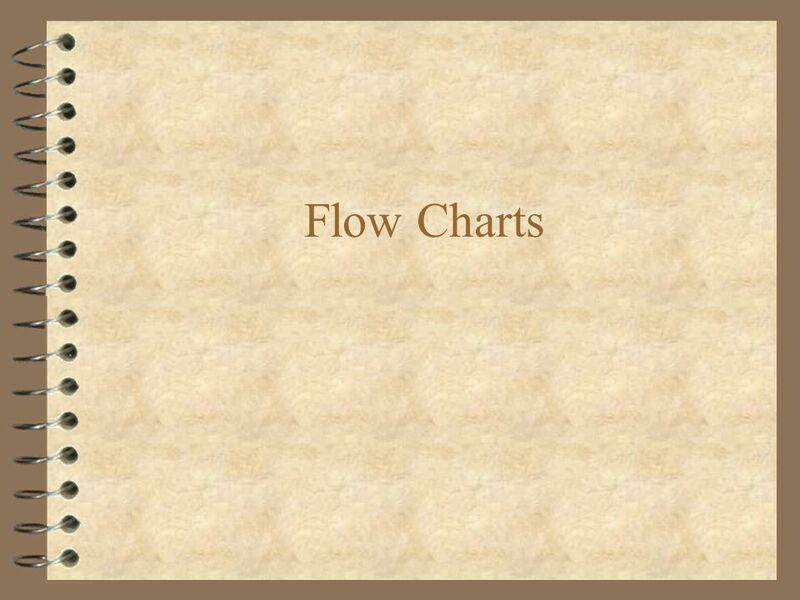 Download ppt "ALGORITHMS - PART 2 CONDITIONAL BRANCH CONTROL STRUCTURE"
CSI 1306 PROGRAMMING IN VISUAL BASIC PART 2. Part 2  1. 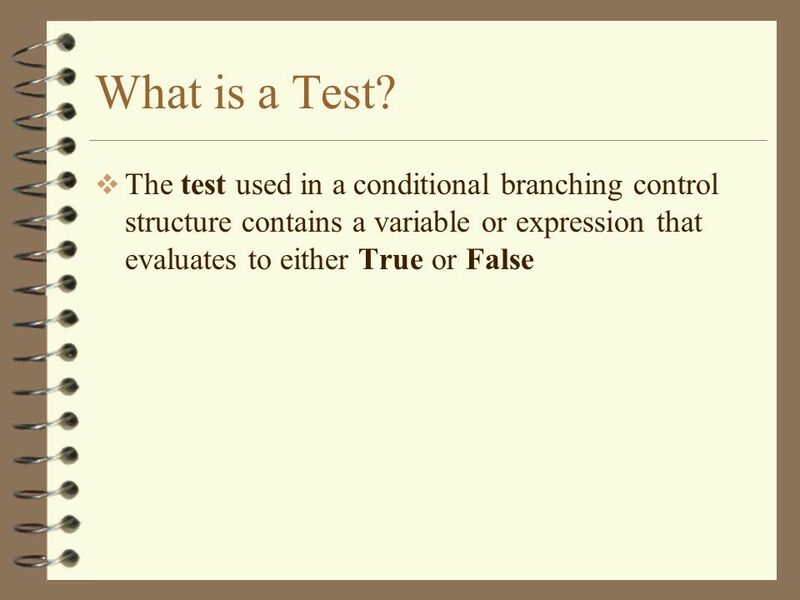 Strings  2. 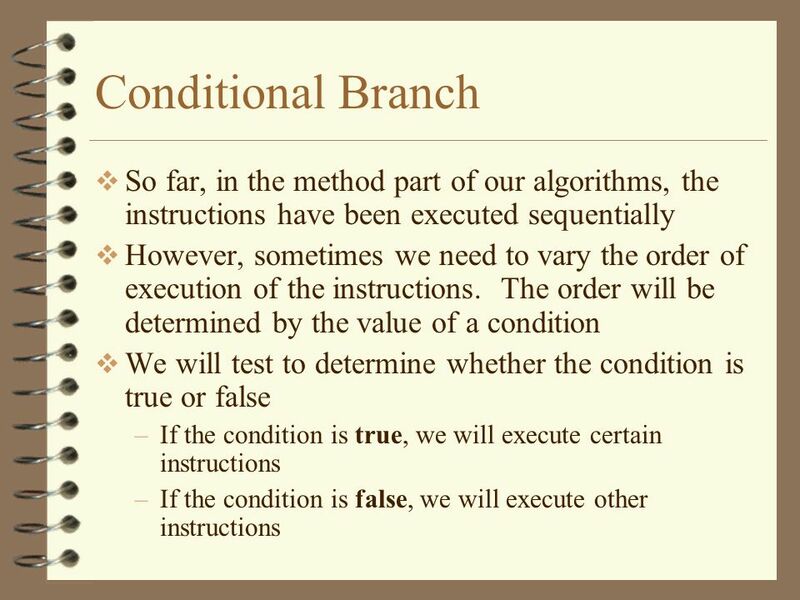 Translating Conditional Branch Instructions  3. 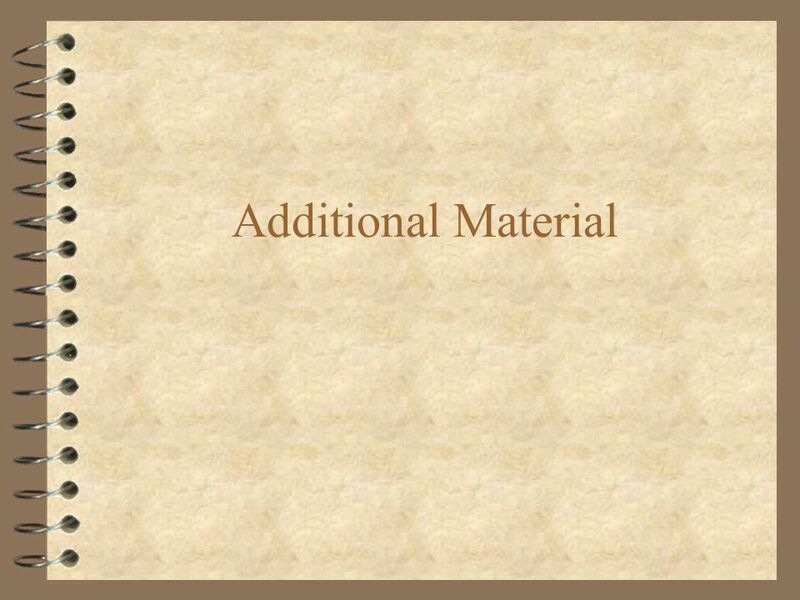 Translation Set 2  4. 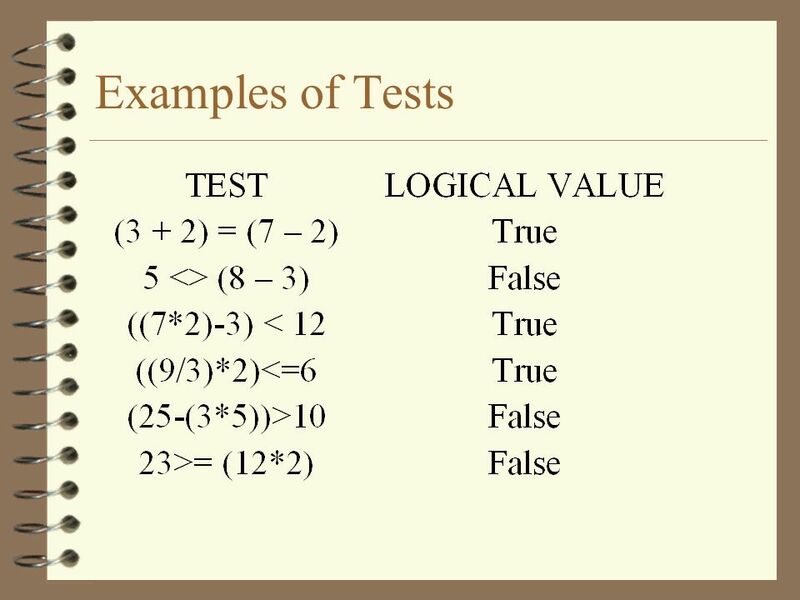 Debugging. 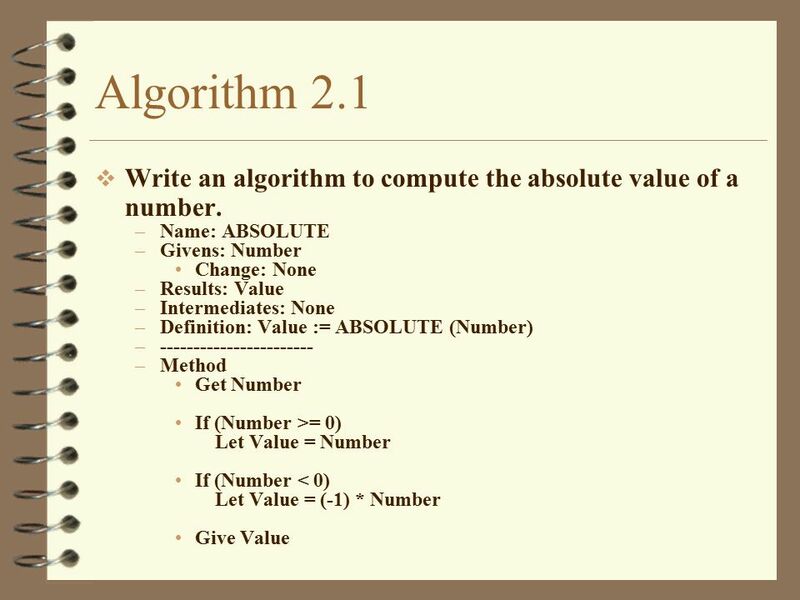 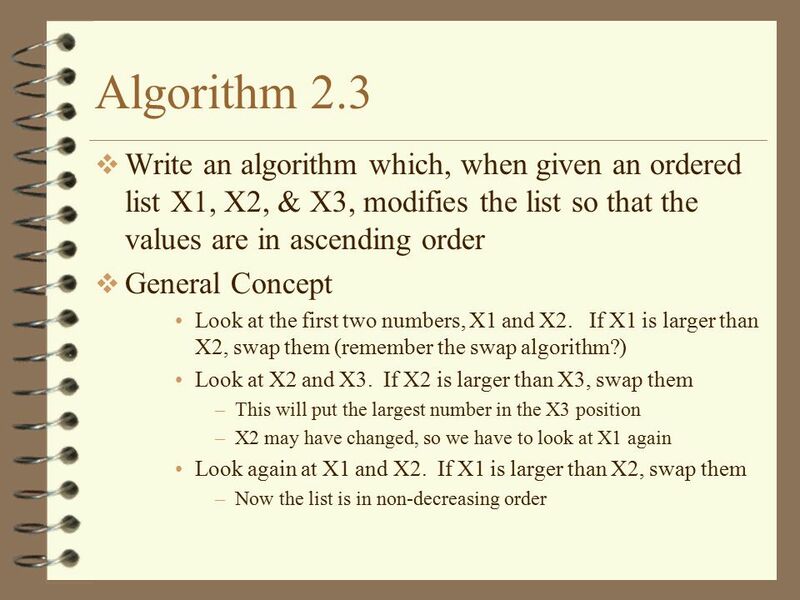 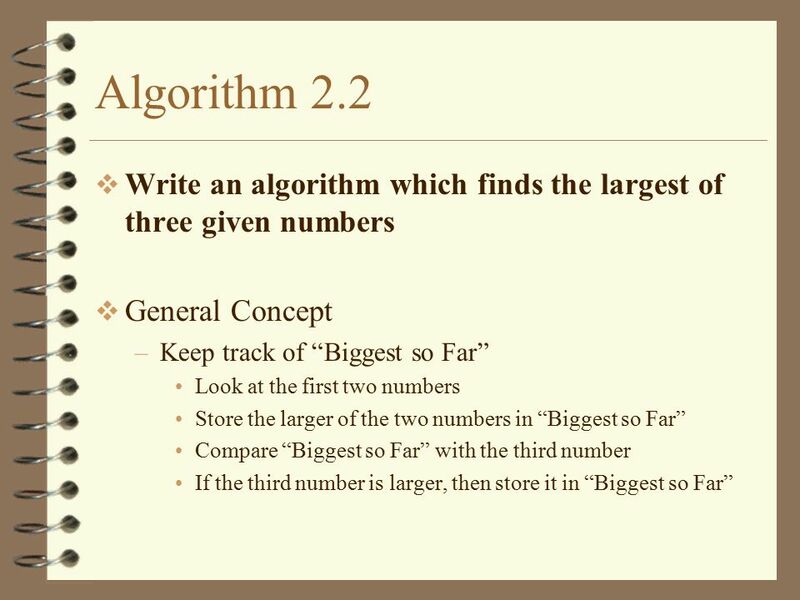 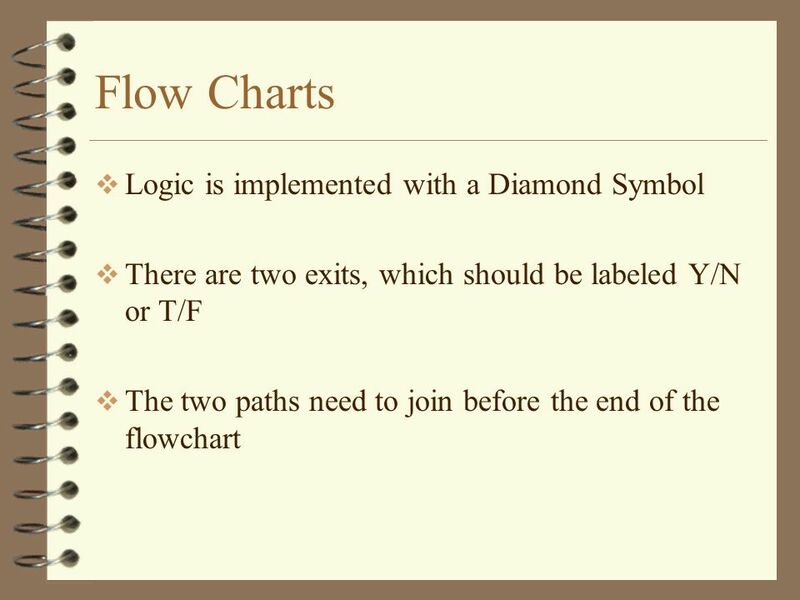 CS107 Introduction to Computer Science Lecture 3, 4 An Introduction to Algorithms: Loops. 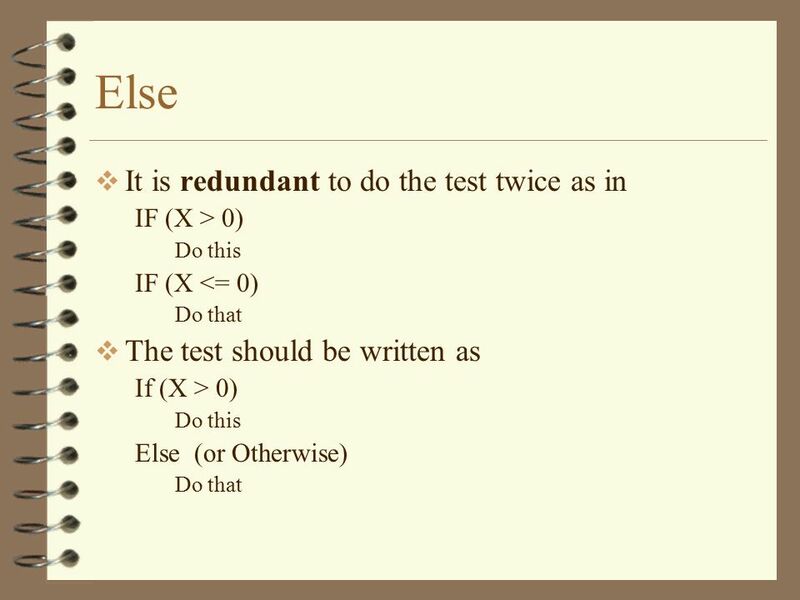 1 Conditional Statement. 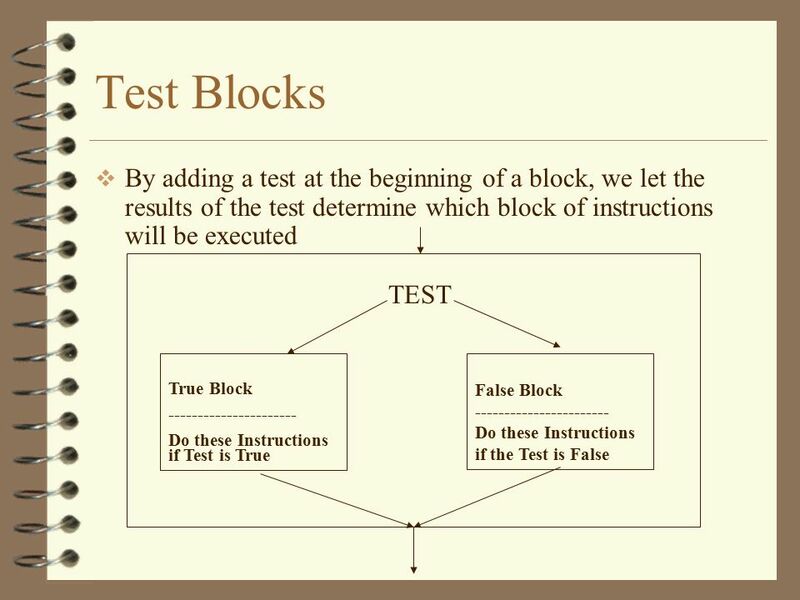 2 Conditional Statements Allow different sets of instructions to be executed depending on truth or falsity of a logical condition. 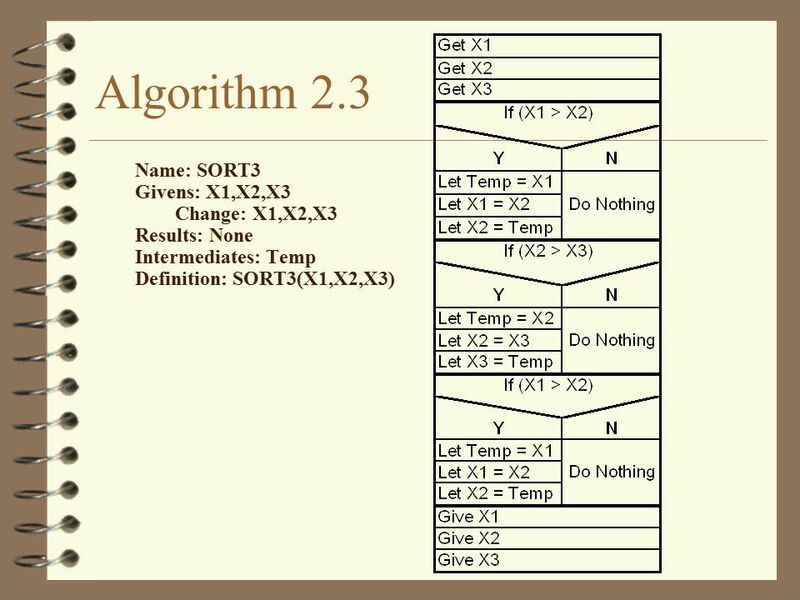 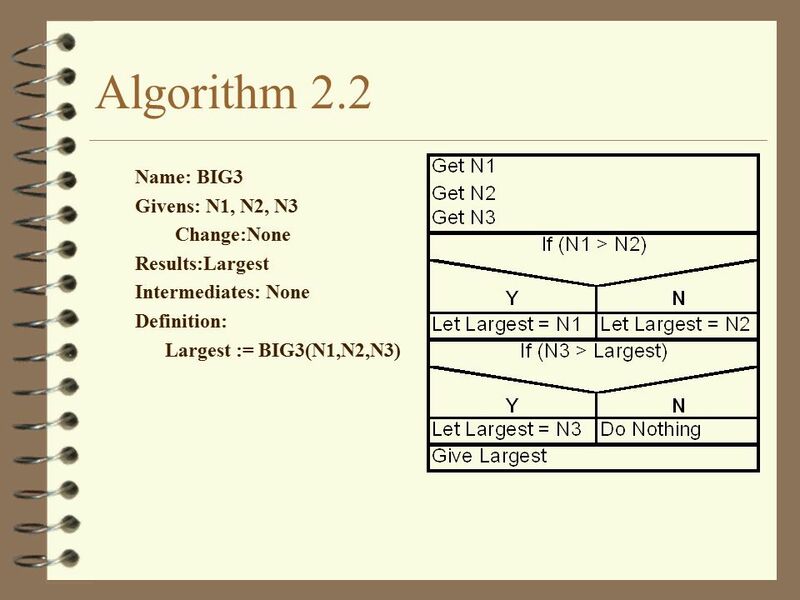 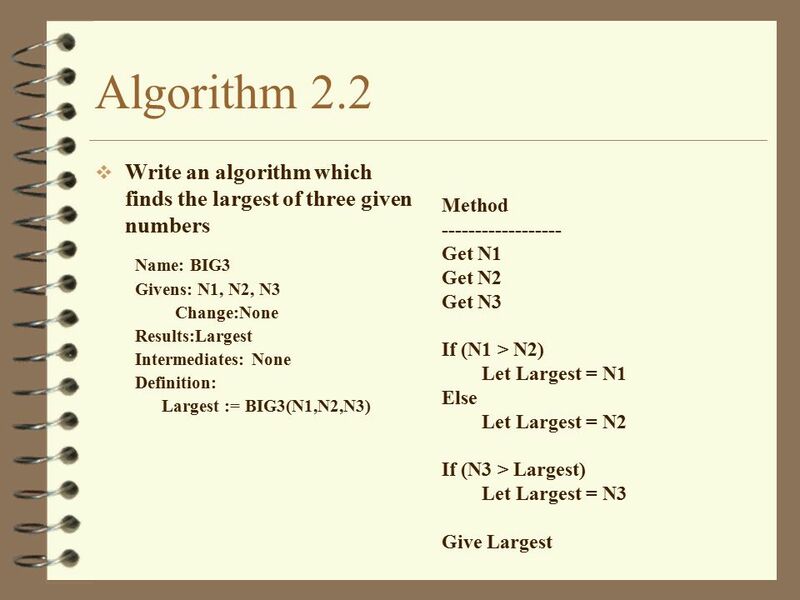 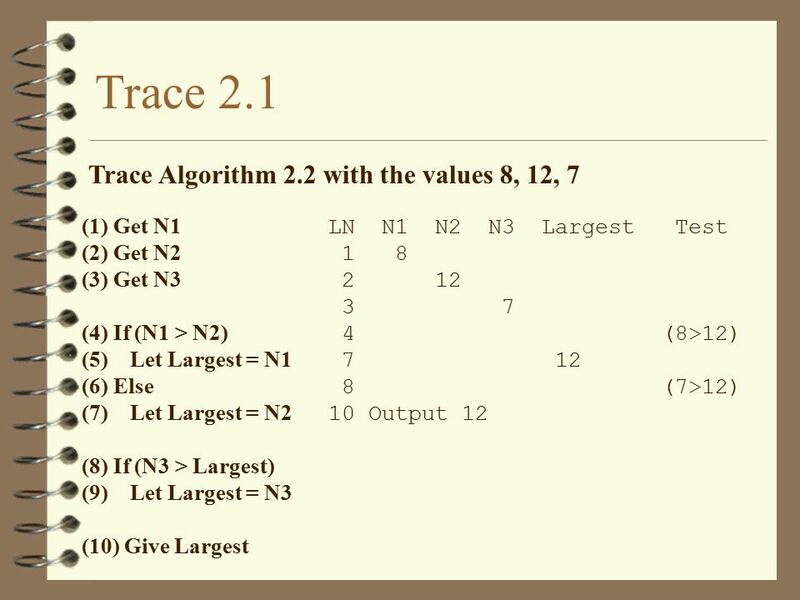 8 Algorithms Foundations of Computer Science ã Cengage Learning. 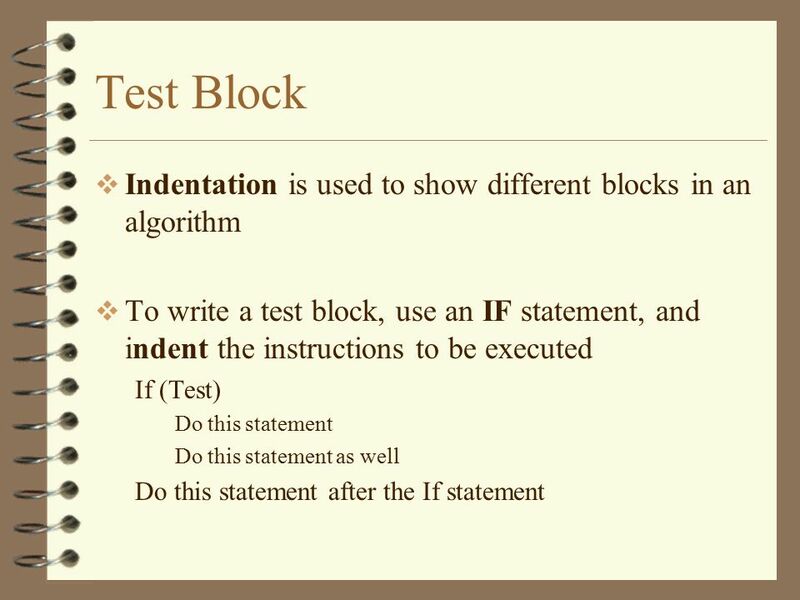 Conditional Statements Introduction to Computing Science and Programming I. 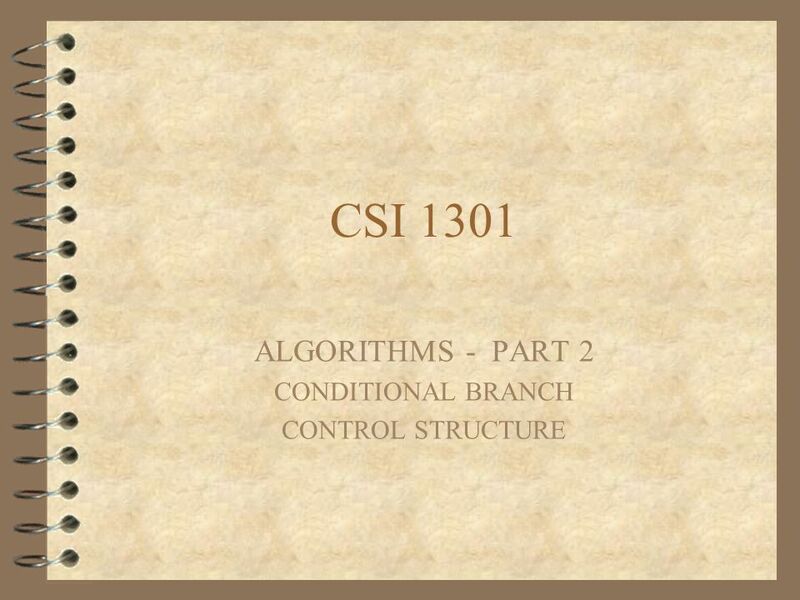 Chapter 4 Control Structures I. 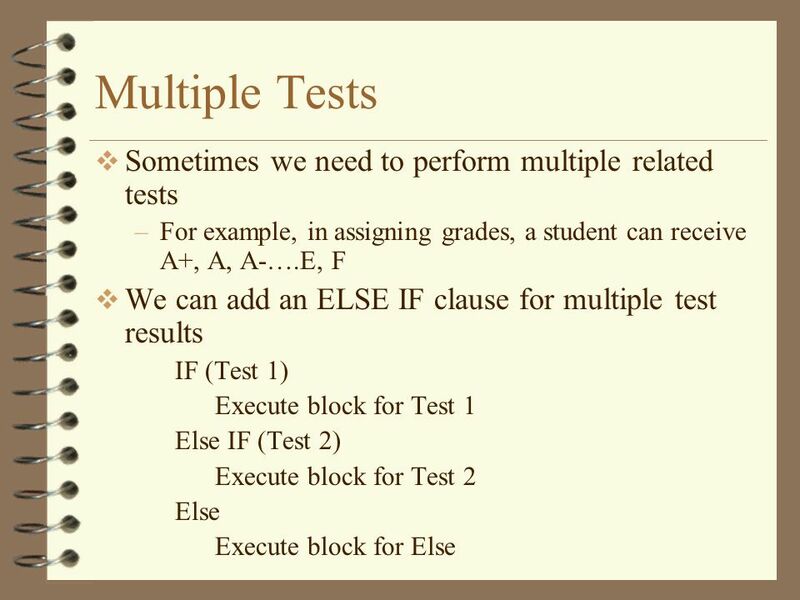 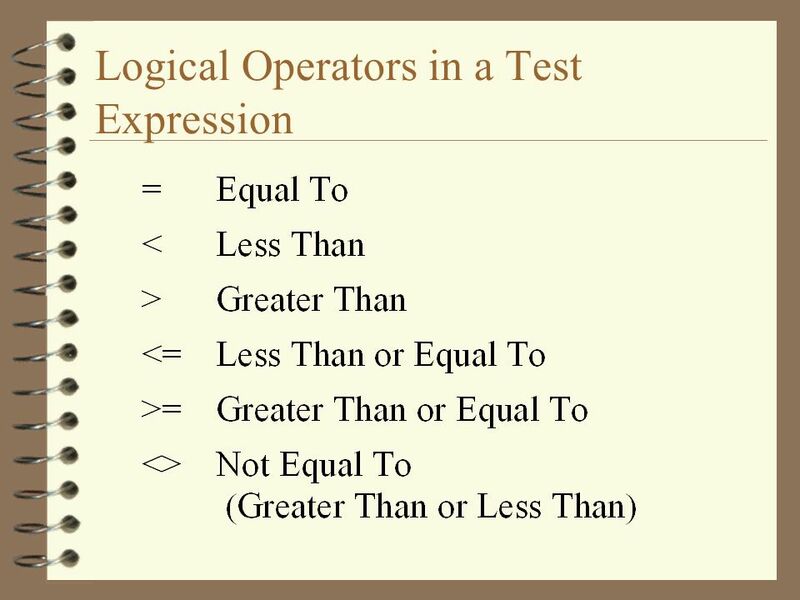 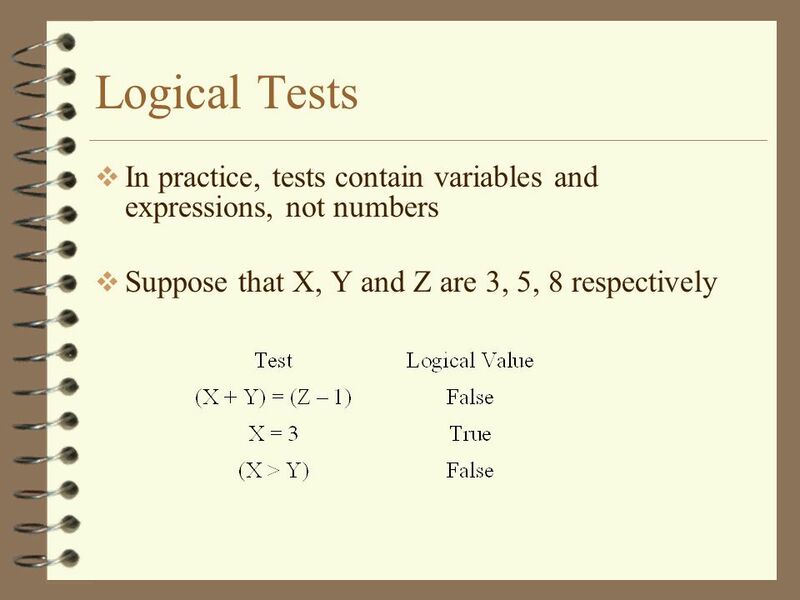 Objectives ► Examine relational and logical operators ► Explore how to form and evaluate logical (Boolean) expressions. 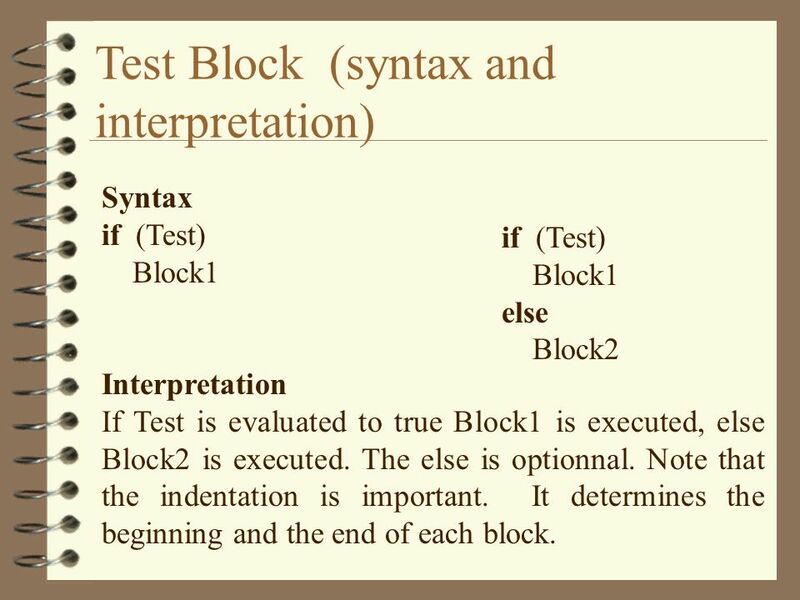 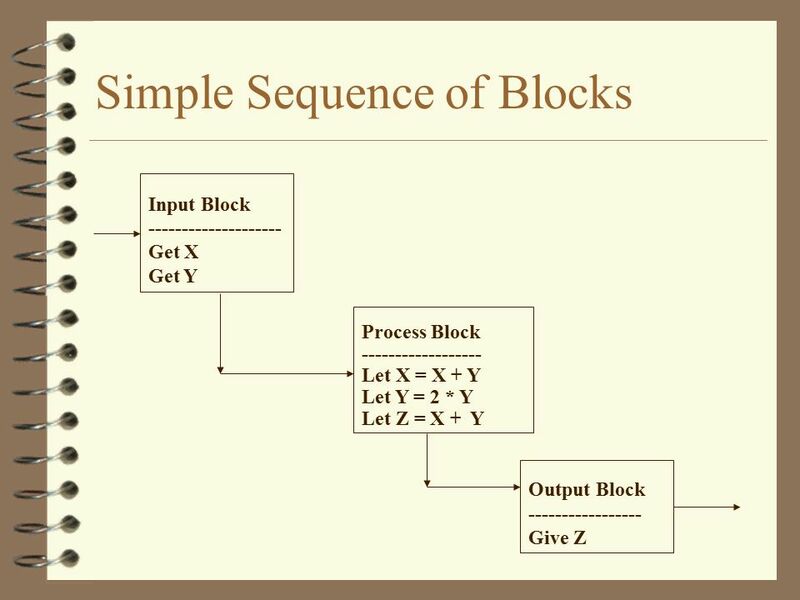 Basic Building Blocks of Programming. 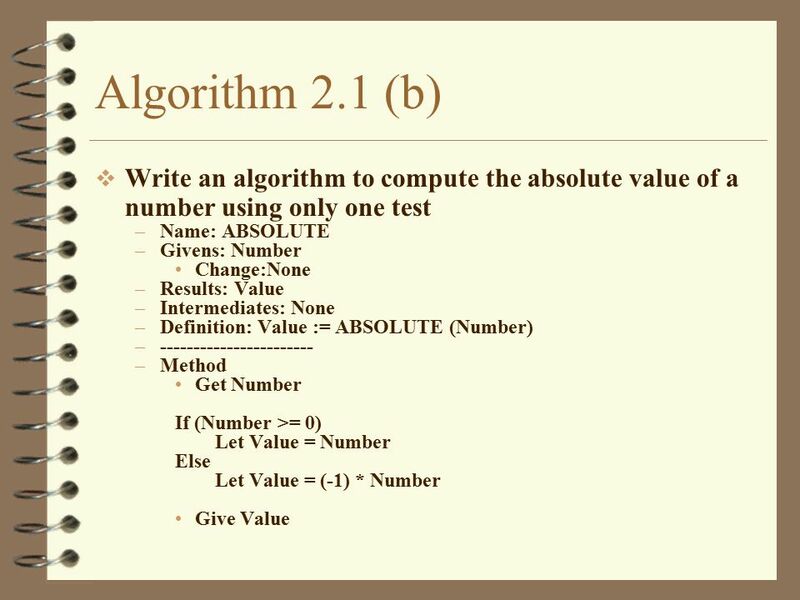 Variables and Assignment Think of a variable as an empty container Assignment symbol (=) means putting a value into. 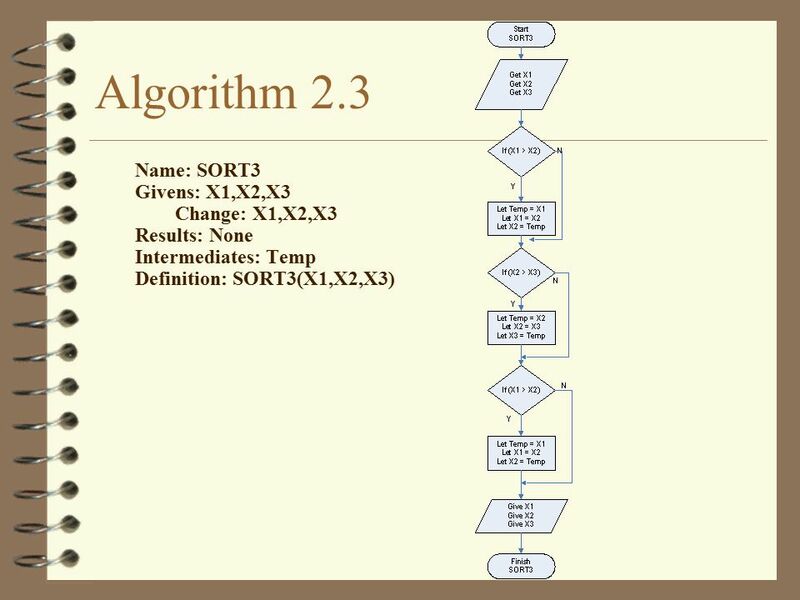 CHAPTER 7: SORTING & SEARCHING Introduction to Computer Science Using Ruby (c) Ophir Frieder at al 2012. 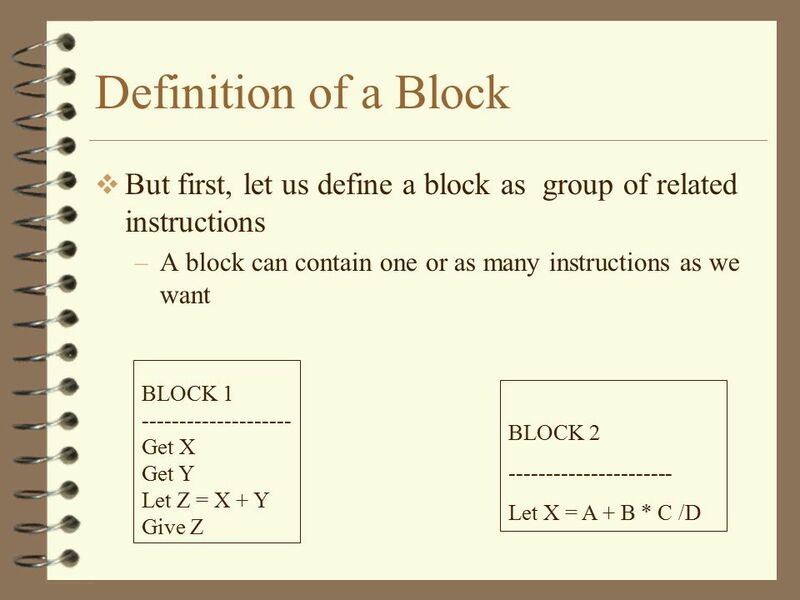 4 - Conditional Control Structures CHAPTER 4. 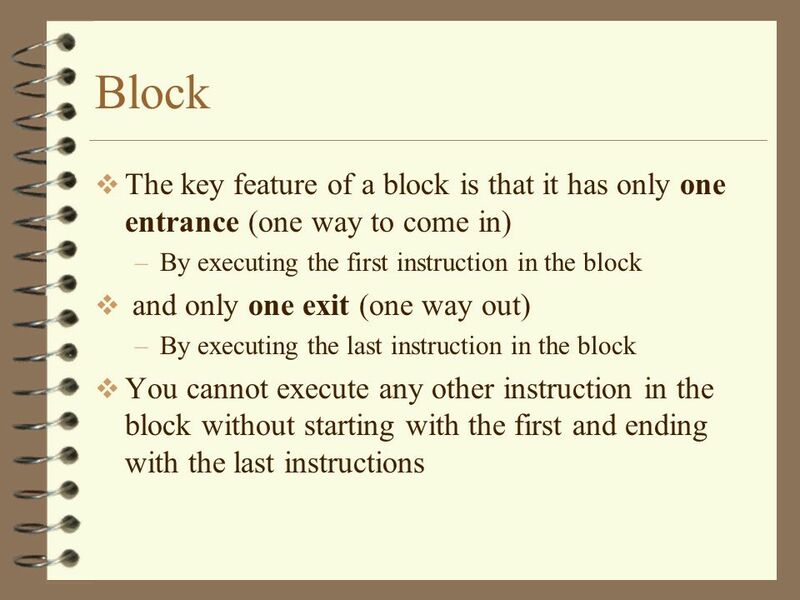 Introduction A Program is usually not limited to a linear sequence of instructions. In real life, a programme.